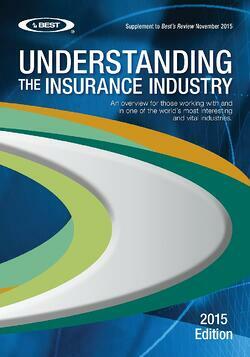 Every year, AM Best publishes Understanding the Insurance Industry, and the 2015 edition came out a week or so ago. It’s subscription only, but here’s the link. Inside is the Property/Casualty Market at a Glance, and it’s worth a glance because they call out so many topics we cover at Risks of Hazard. After the summary of what the segment is, and some cool "Top 10" lists (State Farm and Berkshire Hathaway dominate them), the editors state that “the property/casualty industry faces several issues.” That’s where it gets interesting. The article gets more specific regarding homeowners: “Pricing sophistication for property business has evolved with increased adoption of by-peril pricing algorithms." The result is that "carriers largely appear to have moved from risk avoidance to a better understanding of risk and pricing.” In other words, they are reducing their underwriting leakage. Further, this will “increase (their) ability to pinpoint risks and geographic regions they deem advantageous to conduct business.” It would have been great if AM Best just said cherry-picking again, because that’s what they are talking about here. For Commercial Lines, the issues are concerned with yields and results, not underwriting analytics. There is a token call out for “the continued evolution of data and data analytics”, but it’s a general statement for the whole segment. There is a whole section on Catastrophe Impact, because “no single event weakens overall policyholder security quicker than a catastrophe.” The most interesting statement is this: “Historically, hurricanes and tropical storms represent the greatest share of U.S. insured catastrophe losses. Severe thunderstorms and tornadoes also cause considerable losses.” What’s so interesting about that? There is no mention of flood, since it’s largely handled (in the US) outside the P/C industry. No mention of wildfire, either, even though that has become a sometimes-dominant peril in the past 15 years. It’s too bad they don’t mention the activity around flood coverage in the USA, as well, as the private flood market continues to expand and evolve. It is exciting to be involved with the P/C industry right now for all the reasons AM Best discusses. The untapped opportunity is vast and the technology is advancing. There is not only an opportunity to be successful, but to really help people in times of need as well as reinforce the platform upon which our society is built.